We are just under one week away from the debut of DreamWorks Animation's Rise of the Guardians, arriving in theaters nationwide on November 21st. As the studio enters the home stretch, a new TV spot and two featurettes have launched, offering a new look at this animated adventure. 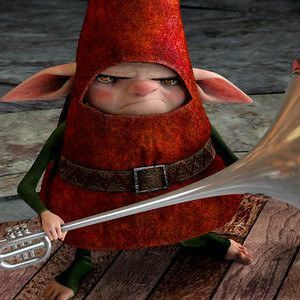 First up is a TV spot that showcases the hilarious elves, who provide much of the comic relief in this adaptation of William Joyce's children's novel. After these pint-size workers have tickled your funny bone, check out two featurettes with author William Joyce explaining the original idea behind the story, and interviews with director Peter Ramsey, executive producer Guillermo del Toro, and stars Chris Pine, Hugh Jackman, and Isla Fisher.